The owner of the 130′ Westport motor yacht MARY ALICE II has announced a special rate. This is for Bahama yacht charters this winter! The special is offered for now through April 30. 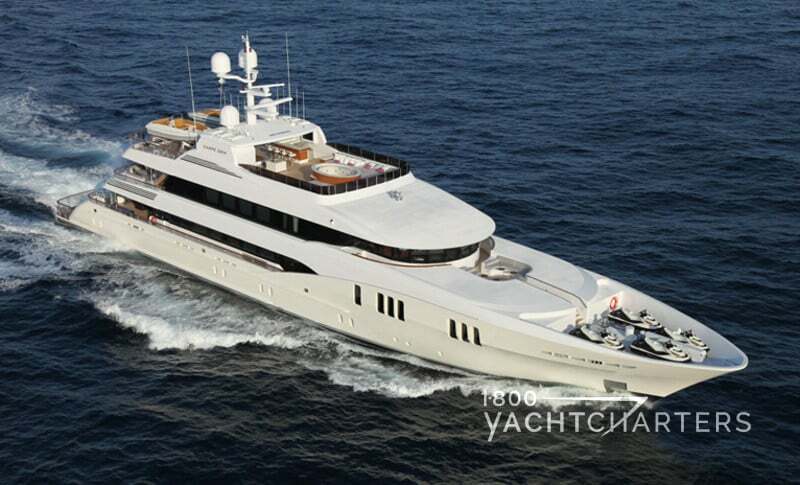 Book a regular 7-night charter for $100,000 per week ($120,000 per week for 2011 year-end holidays). Motor yacht MARY ALICE II welcomes you! Receive an additional 3 nights for free! As if that weren’t generous enough! There is an addition to the special rate of 10 nights for price of 7. Her owner will waive all delivery fees to move the yacht from South Florida to the Bahamas. This is a savings of approximately $4000. ALSO! The yacht has hard-to-come-by dockage at the famous Atlantis resort and marina in Nassau (Paradise Island), for the year-end holidays!! The immaculately-kept 130′ Westport yacht MARY ALICE II boasts brand new interior soft goods and AV equipment. She accommodates 10/12 guests in 5 staterooms and will allow 2 more children to sleep on air mattresses in sky lounge. Her ondeck Master suite has opening windows for fresh air, and blackout blinds for total privacy. Four guest cabins are located belowdeck and feature King beds, two of which can convert to twins. Other amenities include a skylounge with satellite TV and an 8-person hydrotherapy hot tub. Active guest will enjoy two waverunners, kayaks, underwater Seabobs, and a high performance 34′ Regulator-brand towed tender. Captain Kelly Esser and his crew of 5 look forward to treating their guests to the time of their lives in the Bahamas or Florida! 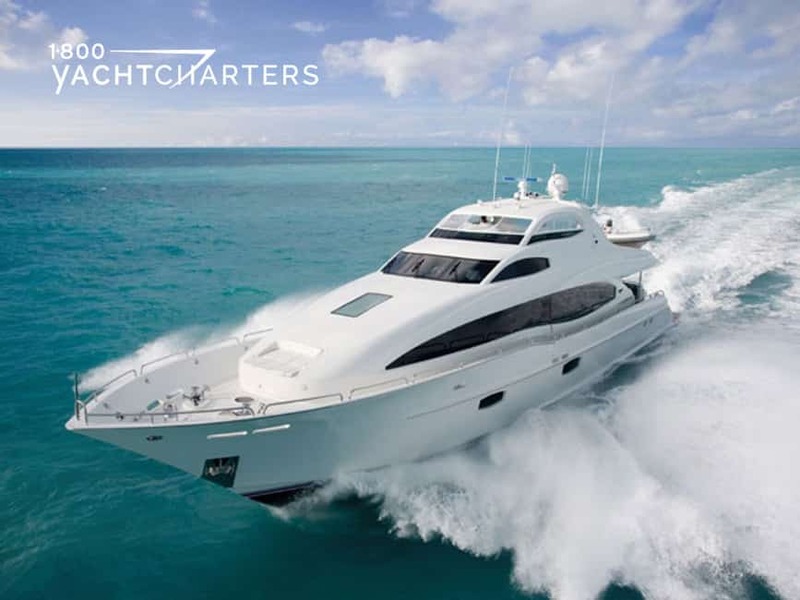 Destinations of yacht charters is a popular and often requested topic. Our professionals at 1-800 Yacht Charters reviewed 2010’s “hot spots” and checked with various mega yacht owners with yachts in transit to enticing locations around the globe. 1. The Indian Ocean, onboard motor yacht CLOUD 9. 2. Australia and New Zealand, onboard super yacht GALAXY. Today, we present the other two hot spots for the new year! 3. It’s Better in the Bahamas, on BIG ZIP. 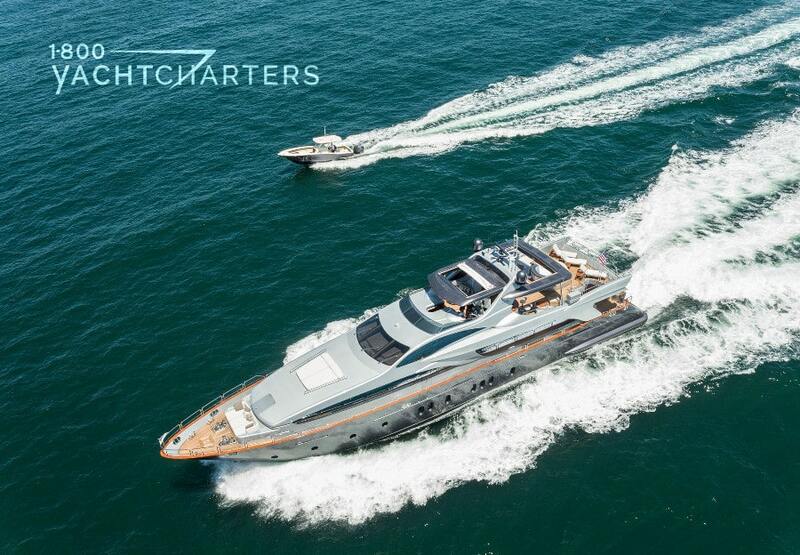 Don’t have time to travel half around the world for a luxury mega yacht charter? No worries! 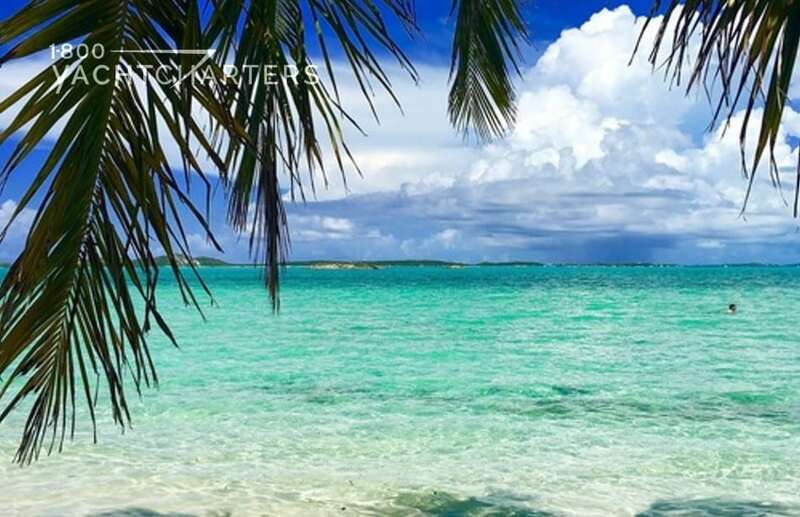 The Bahamas offers pristine water and uncrowded beaches, and they are located just an hour away from South Florida. There are over 700 islands in the Bahamas. Trinity yacht BIG ZIP is the ideal platform for a week of discovery and exploration there. The vessel features 5 staterooms for a perfect superyacht experience in exclusive surroundings. The yacht’s interior was designed by Evan Marshall. The yacht’s watertoys include a 32 foot Intrepid towed tender, a 21 foot Novurania RIB tender, a 3-person waverunner, and snorkel gear and towable toys. Pricing begins at $190,000 per week. 4. Do the Dalmatian Coast on KOKOMO. The 789-mile coast of Croatia is indented with countless coves and inlets, creating one of the finest places to sail on earth. The most famous cruising grounds are in the Dalmatian Islands, which stretch from Dubrovnik northwest to Zadar. Sail boat charters can unveil the charming anchorages, ancient villages, and translucent waters of the islands. The sail yacht KOKOMO will spend the summer cruising the coast of Croatia. This sailboat is sleek and elegant, with superlative sailing characteristics without compromise for comfort. Flexible accommodation arrangements allow for up to 12 guests in five staterooms, all with ensuite bathrooms. Her prices begin at € 230,000 per week. Are you ready to try out a new destination on your own private luxury yacht? Contact us at https://www.1800yachtcharters.com/book-now-contact-us/ , and we’ll put your vacation together for you TODAY. I wanted to thank you and your crew for the wonderful charter we had on board motor yacht Serenity. The yacht is of course absolutely beautiful, the food was spectacular but the service is what impressed us most. We were so very thrilled with the level of attention your crew gave to us and our guests. To travel with children from the ages of 10 to 21 and find activities that everyone enjoys is certainly difficult, but you and your crew managed it effortlessly. The kids are still raving about the trip and are anxious to do it again. Please thank your crew for making this one of our most memorable vacations. You will be our first call when we’re ready to book our next charter. Editor’s note: Launched in 2008, Lazzara motor yacht SERENITY offers accommodations for 10 guests in 5 cabins with ensuite bathrooms. Onboard amenities include a 27 foot Intrepid tender, two waverunners, two SeaBob underwater scooters, and paddleboards, fishing and snorkel gear, and a water trampoline. Available for Florida yacht charters as well as vacations in the Bahamas, her published rate is $53,000 per week, plus expenses. A FALL SPECIAL is available for the Thanksgiving holiday: Book a 7-day vacation starting Nov 28 or 29, and get 1 extra day free (a savings of over 15%) … or book a 3-day trip beginning Nov 28 or 29 and pay $22,000 (save $7,000). PLUS all delivery fees waived! 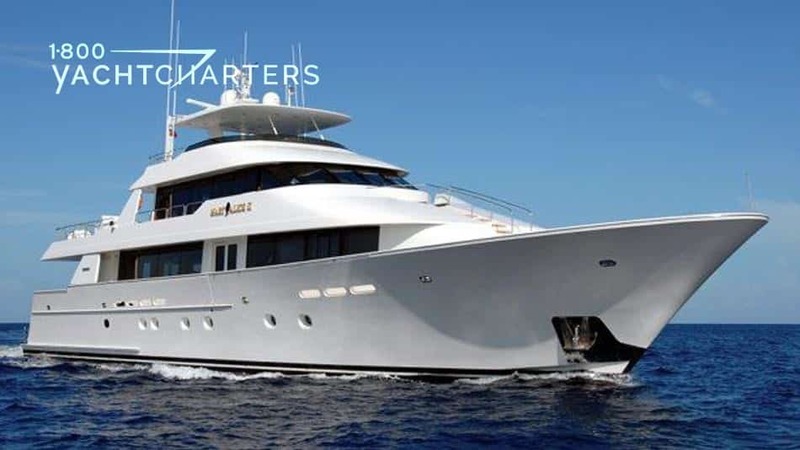 Other yachts available in the Bahamas include the 85′ motor yacht SEAS THE MOMENT priced at $37,500 per week plus expenses, the 100′ motor yacht PICNIC ($39,500 per week, plus expenses), and the 80′ Lazzara motor yacht LA DOLCE VITA ($27,500 per week, plus expenses). There are many production 100-foot motoryachts in the Bahamas yacht charters market, but owners Dr. and Mrs. Emmons of luxury charter yacht SEAFARER didn’t want a cookie-cutter boat, particularly one costing $6 million. They wanted something that they could personalize to reflect their taste, their love of literature and the arts. As a result, you will see throughout the boat bookcases built specifically for the Emmons, and nooks created especially to fit their fine collection of marine artwork. Luxury charter yacht SEAFARER motor yacht is a 30-meter megayacht available for a Bahamas yacht charter vacation. 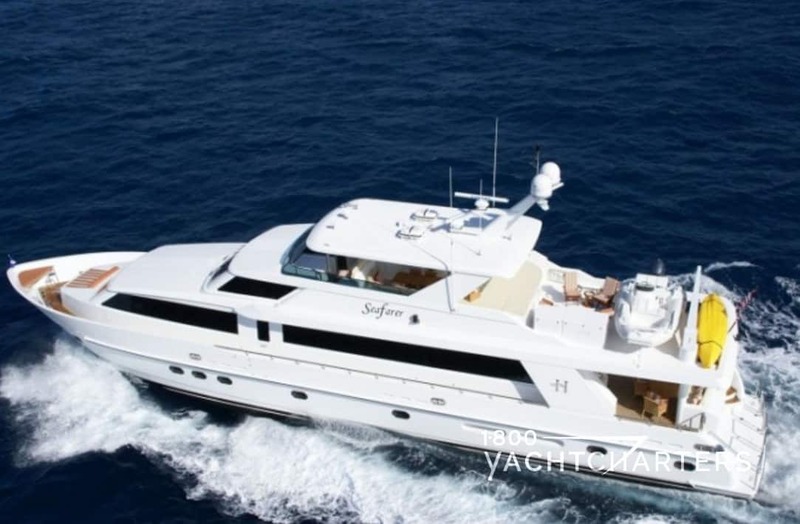 Yacht SEAFARER has accommodations for eight (8) guests in four (4) cabins. This new mega yacht was built by superyacht builder Hargrave and was launched in 2008. Bahama yacht charters are all about outdoor adventure in the sun, so a large inventory of waytertoys are important. This mega yacht charter vessel carries a 15′ widebody Nautica tender with 90hp Yamaha engine, two 2-person kayaks, snorkel gear, towable toys and tubes such as Boogie Boards, plus beach toys such as volley ball, Frisbees, and 4 bicycles. 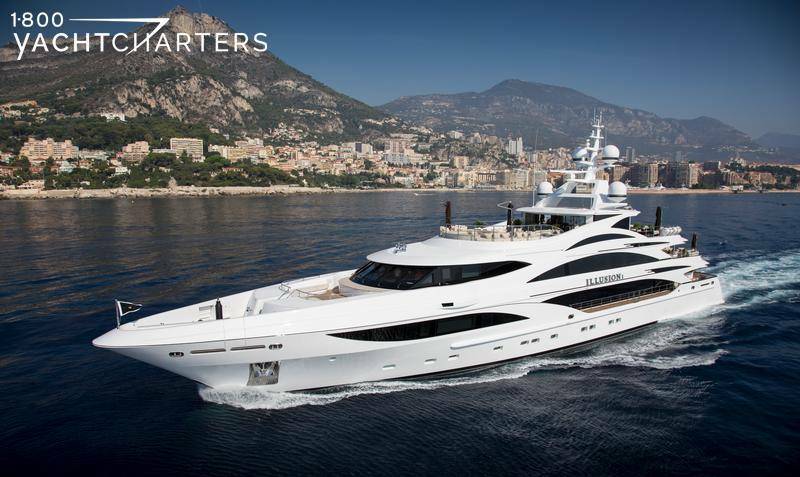 Click to view luxury motor yacht SEAFARER’s online brochure. You, your family, and friends can enjoy a week-long odyssey in the Bahamas onboard this yacht for only $42,500 for 8 guests. Running expenses (items such as food, fuel, and dockage) are extra. For more information, contact Jana Sheeder, CEO of 1-800-YACHTCHARTERS at jsheeder@1800sailaway.com. 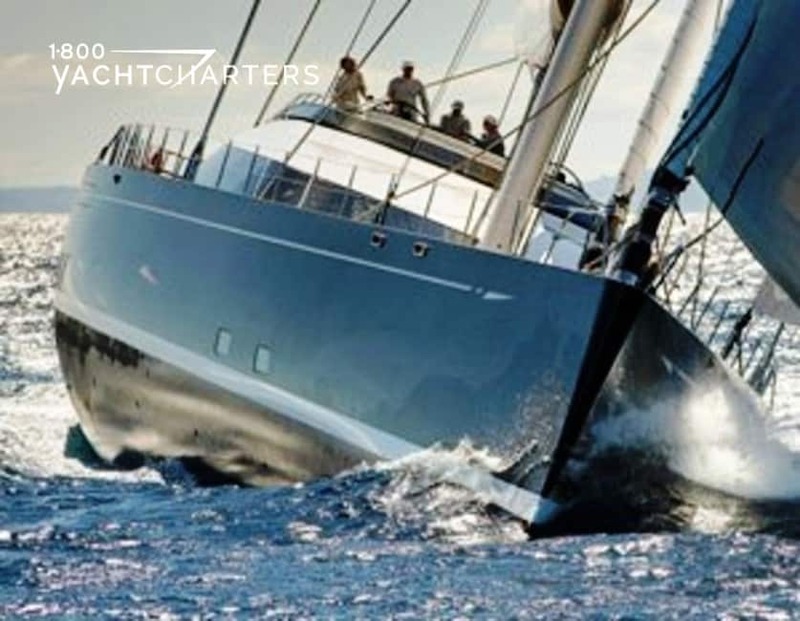 1-800-YACHTCHARTERS – providers of the Newest and Largest Yachts in the World’s Best Destinations. A brand new Benetti yacht charter vessel entered the market. She checkmates the competition. The stunning 145’ Benetti Vision motoryacht arrived to her proud owner. This happens in time to capture the late summer season in the Med. Accommodations available for 10 to 12 guests in 5 staterooms. Similarly, like a wide angle camera lens, the on-deck master suite offers 180 degree panoramic views. They are bathed in natural light. Likewise, all guest accommodations feature massive windows. Guests can enjoy the beautiful scenery while underway or at anchor. The yacht’s elegant interior was designed by Italy’s Francois Zuretti and is best described as “contemporary chic.” The décor blends Cherry and Burr-Madrona woods with beautiful Italian marble throughout. No watertoys store on the massive Sun Deck. This makes it a great area for sun worshippers. The nearby bridge deck Skylounge boasts one of the most impressive features – aft doors that recess to create an incredible 270 degree al fresco dining experience! The inaugural rental rate for the summer 2012 season is $145,000. This is a good value. It is a rarity in the Med. 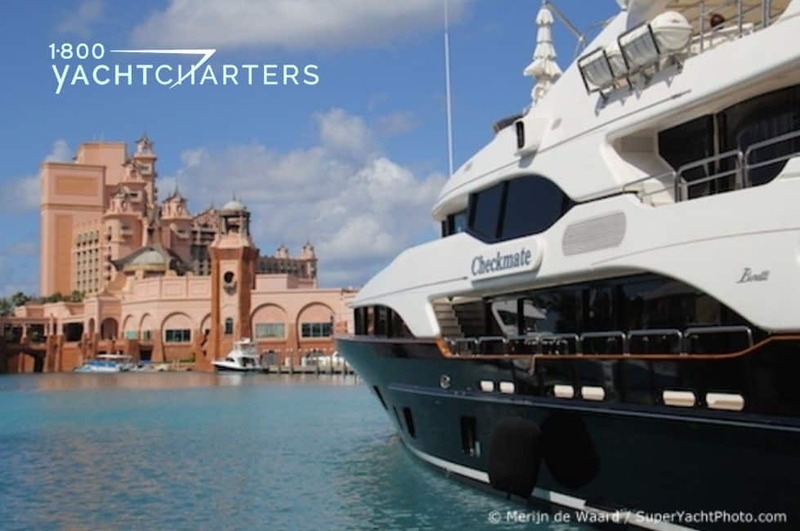 Most Med yachts price in Euros..
For more information about motor yacht CHECKMATE, contact 1-800 Yacht Charters today. The owner of motor yacht ILLUSION V has announced the repositioning of his 58m Benetti to the Caribbean and the Bahamas for winter 2016, and spring 2017. Elegant, contemporary and offering unparalleled luxury, Benetti ILLUSION V yacht is a masterpiece from celebrated design duo Green and Mingarelli. She has an abundance of dining, entertainment and relaxation areas, a full bar and beach area on her lower deck, and a toy garage bursting with the latest toys including a Jetovator, flyboard and Inflatable slide. Built in 2014, she features accommodations for up to 12 guests in 6 staterooms. Rates for Caribbean yacht charter start at $350,000 per week (higher for holiday dates). In 2010, we took a look at efforts to control the invasion of lionfish in the Florida Keys. Recent reports paint a disturbing picture – efforts to control the population have not been successful. Atlantic Ocean. They live up to 15 years, and one female can produce as many as 2 million eggs in one year. So far, the only viable option to attempt to control the invasion remains the same – eat them! 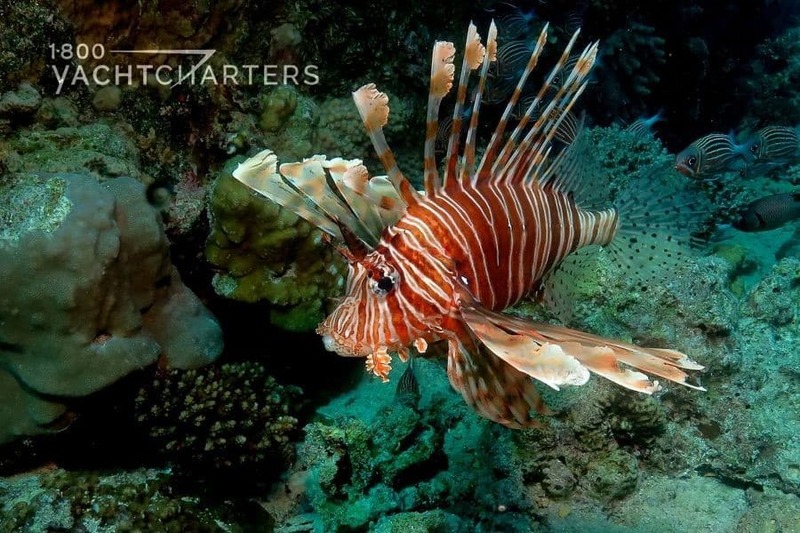 The National Oceanic and Atmospheric Association continues to recommend aggressive efforts to harvest and consume lionfish. After some shipyard time in Georgia, the popular and highly successful charter yacht TAIL LIGHTS headed to the Bahamas in charter ready and Bristol condition. The 116ft Azimut yacht TAIL LIGHTS looked amazing and had lots of new toys and goods onboard to start her first charter in Nassau on November 21st. All new exterior and interior soft goods e.g. upholstery, cushions, decorative throw pillows, bed covers, linens, towels, etc. The yacht accommodates up to 10 guests in 5 staterooms — 8 beds – 2 doubles, 2 twins, and 1 convertible configured as 2 Pullmen, 1 King, 2 Queens, 1 Double, and 4 Singles. 32′ Scout towed tender w/ twin 350 Yamaha engines. Fully rigged and walk-in bathroom in console. Rates for TAIL LIGHTS are from $75,000 per week, plus all running expenses and any applicable taxes. Be warned – this toy is for designed strictly for adrenaline junkies! The Jetovator is a water sports accessory that extends the ability of an existing personal watercraft (PWC). It redirects the water thrust from the propulsion unit of a waverunner or jetski along a forty foot hose to the Jetovator body. This water thrust is then used to propel and elevate the Jetovator up into the air…or down into the water! The rider can also redirect the water thrust of the two front nozzles in order to maneuver the Jetovator in all directions (read between the lines – spin wildly in the air). The Jetovator can go vertical straight up to a dizzying 20-25 feet at speeds of up to 25 mph. For a wetter experience, you can take a nose-dive and actually cruise underwater (to approximately 4-5 feet deep). Luxury motor yacht CARPE DIEM 191 can sleep 10 to 12 guests in a full-beam master stateroom on the main deck, four double guest staterooms, and a convertible gym on the lower deck. 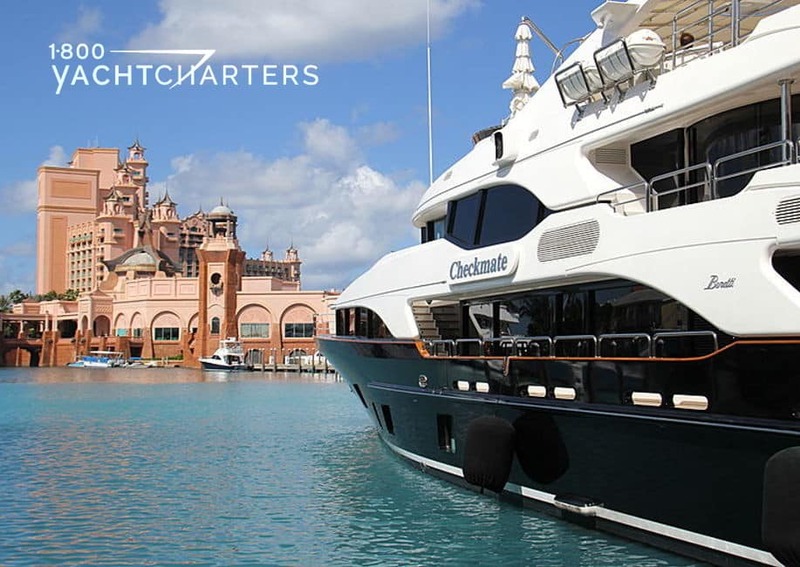 Weekly charter rates begin at $395,000 per week, plus all expenses. As mega yacht charter vessels get larger and larger, the yachts, themselves, have become the “destination” for charter guests. Onboard amenities from home theaters, spas, and helicopters, to personal submarines, coupled with a “boat-load” of watertoys means guests rarely feel the need to leave the safe, comfy, pampered confines of their floating resort. According to Jana Sheeder, President of 1-800 Yacht Charters, that is not necessarily a good thing. SKOPELOS, First, Greece – Yes, the islands of Mycanos and Santorini are a “must.” They are beautiful, but where did Hollywood scouts shooting the movie, Mamma Mia? It was Skopelos! This secret little island is close to tourist-crazed Skiathos. Anchor in a hidden cove and arrive by tender on Kastani beach. You will be wowed by the view of the shimmering Aegean Sea. Also, the island’s tile-roofed tavernas and the noticeable absence of tourists are a bonus. After dinner, stroll to the open-air Mercurius Bar & Café. Go up to the hillside Ouzeri Anatoli, for live rebetika music. This is Greece and Greek yachting at its best. Opa! CAYE CAULKER, Second, Belize. Head to Caye Caulker in Belize for a caribbean change of pace. Shallow waters are great for crewed catamaran charters. Anchor in Shark Ray Alley and snorkel among nurse sharks and stingrays. Go scuba diving at the underwater caves of Blue Hole. Back onshore, curried lobster at the Jolly Roger’s Grill is “to die for.” Visit during the annual Lobster Festival, when the main road turns into a street party. SAMPSON CAY and the EXUMA CAYS, Third, Bahamas. Sailors like yacht owner Johnny Depp know all memorable Bahamas yacht charters should pass though the Exumas and Sampson Cay. Sailors access thriving patch reefs, isolated islets, and miles of secluded white sand. The snorkeling is amazing. Specifically, in the country’s only underwater national park. A fabulous way to get a suntan. WHERE IS YOUR FAVORITE ISLAND GETAWAY? Finally, where is YOUR favorite island getaway? Tell us your best island yachting story. We will post it in our blog and share it with the world! Send us photos!